From Native American mounds to merry-go-rounds, Mounds State Park attests to the varied history of Indiana. 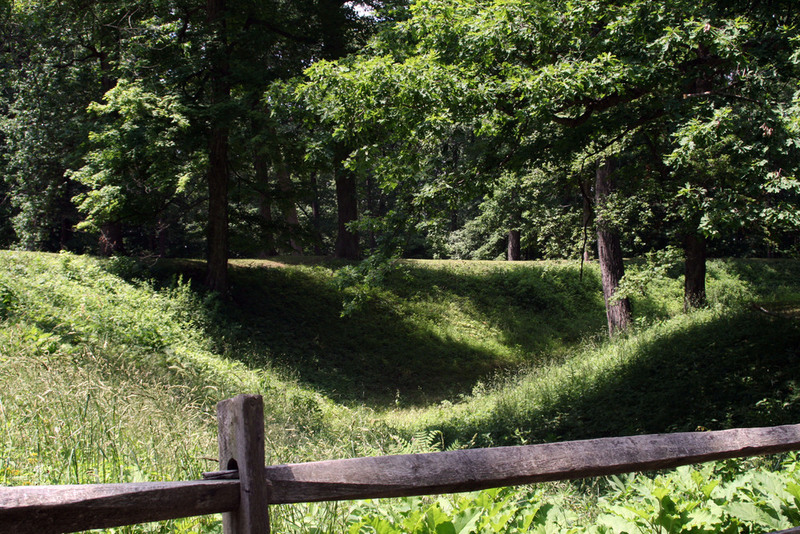 Named after the numerous Native American-constructed mounds dotting the park, these features drove the preservation of this land and the formation of the state park. Archaeological excavations carried out in the park reveals construction of the mounds began around 250 BCE, by the Adena, a late archaic people. 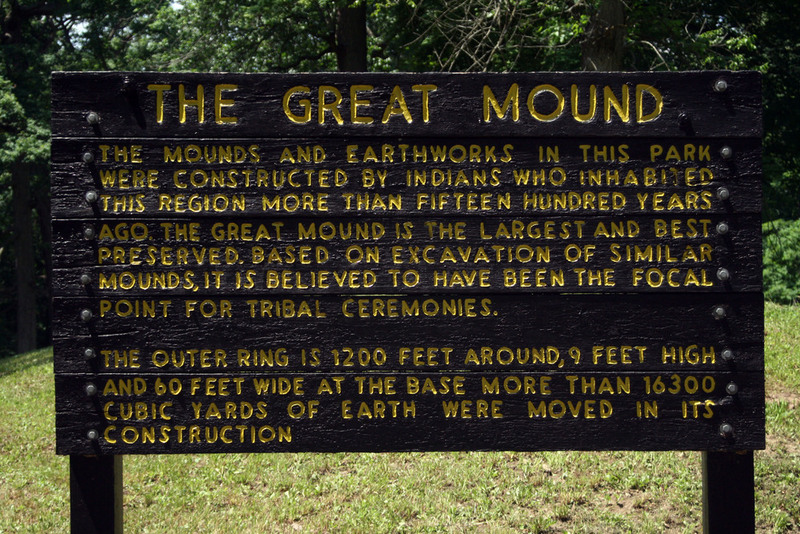 Utilized for approximately 500 years, the mounds served primarily a ceremonial function, first by the Adena and later the Hopewell--a name given to them by scientists to describe the changing culture of these native groups. In all, ten mounds have been identified within the park’s boundaries. Varied in size and shape, all include some sort of astronomical alignment with stars or constellations. Multiple Hopewell burials have been unearthed in the largest mound, the Great Mound, as well as other artifacts like copper for beads, mica for carved stones, obsidian (volcanic glass), and seashells throughout the mound complex—indicating a complex culture and extensive trade networks. Like many Indiana state park stories, the preservation and landscape are due in large part to individuals, in this case the Bronnenberg family. In the early 19th century, the German family settled in Madison County, eventually owning the lands that now encompass the park. Their second home still stands near the park entrance and can be visited. Successive generations of Bronnenbergs, realized the value of the mounds and prevented their looting or plowing under. In 1905, the family leased 40 acres of land to the Indiana Union Traction Company, to build an interurban stop and construct an amusement park. Located between the Great Mound and the bluffs of the White River was a wooden roller coaster. Visitors could also take a ride on the park’s merry-go-round, kiddie train, or float in a canoe on an artificially dammed section of the White River. The amusement park operated until 1929. Mounds State Park was listed on the National Register of Historic Places in 1973. Indiana Division of Historic Preservation and Archaeology, “Mounds State Park,” Discover Indiana, accessed April 25, 2019, https://publichistory.iupui.edu/items/show/182. Published on Dec 18, 2017. Last updated on Apr 2, 2019.